This is the main admin account for the Shenmue 500K website. As fans count down the months, days, hours and minutes till the release of Shenmue 3, Yu Suzuki is normally found in his Tokyo development studio at Ys Net, where his “impossible sequel” is being polished and prepped for launch on August 27th. But earlier this month he was almost a world away, surrounded by sports cars and casinos on the French Riviera. While the sun beat down on the winding, sloping streets of Monaco however, Suzuki would be on stage in a conference hall, discussing the game before rows of nostalgic fans, and revealing a new trailer so reassuring that it drew tears in the tiers. In between these keynote appearances, Suzuki’s schedule at MAGIC 2019 would be packed with two hour-long autograph sessions and a number of behind-closed-doors previews with members of the press. Squeezing in a bunch of interviews with the online fan community would have to wait for the next event on the marketing calendar. If this were any star guest but Yu Suzuki. Instead, our representatives were invited to his hotel the previous day, and the legendary game designer gave up his afternoon to talk shop, through an interpreter, with people who’d grown up playing Out Run, Space Harrier, Virtua Fighter, and the series that brought them all together. 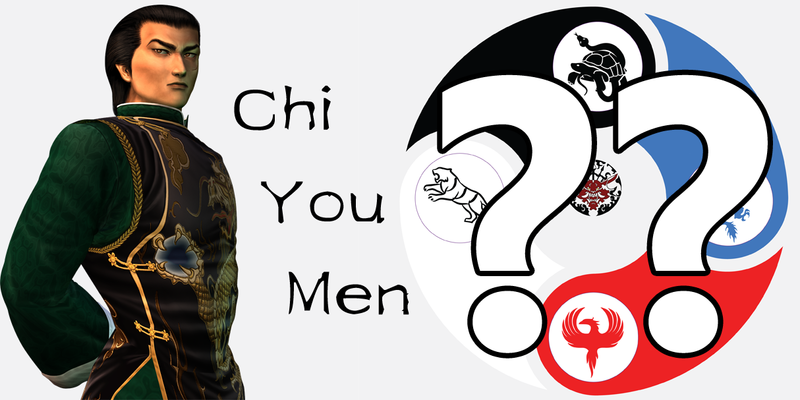 Firat of Shenmue 500K and Cosman of Shenmue Forever chatted with Yu-san about a range of topics, and as always when 500K’s involved, some of these came from members of Facebook’s largest Shenmue group. Shenmue 500K member Rob Glass recently met up with series voiceover star Eric Kelso, who recorded a special message for the Facebook group – speaking not only as himself, but also his three best known alter egos from the Shenmue games. First Eric adopts the role of opportunistic, fortune-seeking gang leader Ren of Heavens. Then enters the deadly cynic Gui Zhang, finally giving way to everyone’s second favorite student of the Hazuki Dojo, the timid Fuku-san. It’s incredible to witness the apparent ease with which three vastly different personalities emerge from the same actor in quick succession! 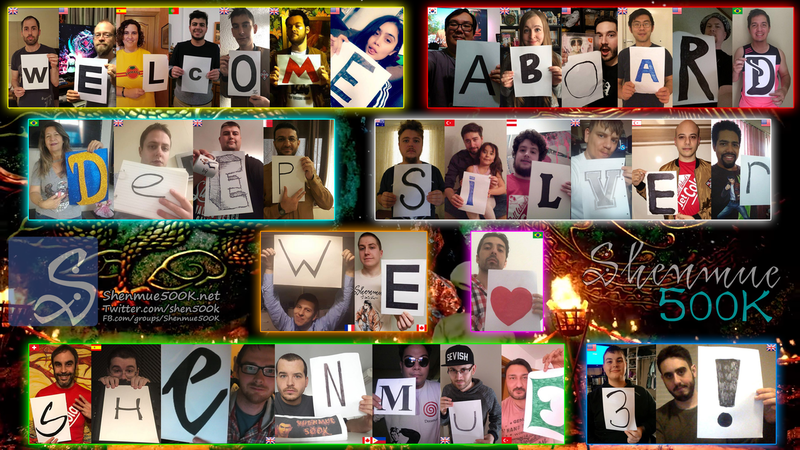 Our thanks to Eric for always being a great sport with the Shenmue fan community! Since the recent announcement that Sega will release new versions of Shenmue I & II on modern platforms this year, pre-orders have been lighting up the charts around the world. The double pack is budget priced for PlayStation 4, Xbox One, and PC (where Steam pre-sales will likely become available once an exact release date has been confirmed). To further ease the strain on fans’ wallets however, especially for those seeking to buy multiple copies, the Shenmue 500K group on Facebook has been crowdsourcing the cheapest deals in each country. Note: Retailers willingly take the hit on any discount below the recommended price, so Sega and their partners receive the same amount regardless. 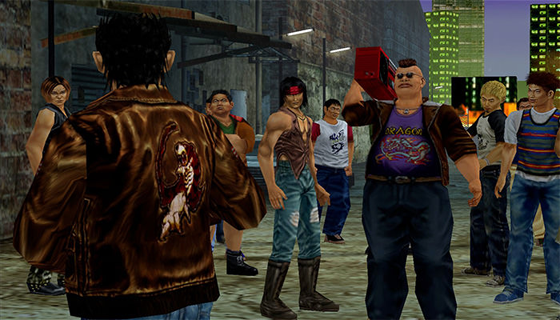 Fans can help drive pre-orders by promoting the games in the #Shenmue Tweetathon, taking place every month on the 3rd. Spreading the word to gamers far and wide, the community can maximize the success of this relaunched franchise and help secure its future beyond Shenmue III next year. When Sega announced last month that Shenmue 1 & 2 are coming to PlayStation 4, Xbox One, and PC in 2018, there was realistically only one thing the members of Shenmue 500K were going to do after securing our preorders. 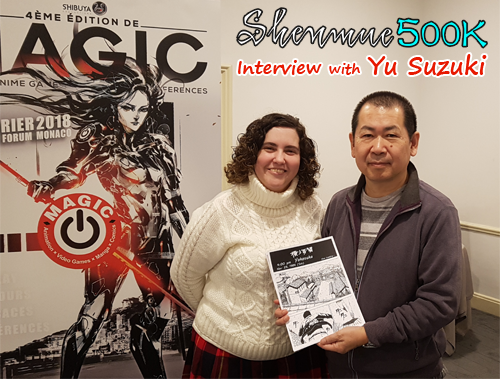 At MAGIC Monaco 2018, Yu Suzuki granted the Shenmue 500K community its second interview to discuss the upcoming Shenmue 3. The legendary video game designer’s direct responses, kindly recorded by ShenmueMaster.fr and translated from Japanese by Switch of PhantomRiverStone.com, are transcribed below. 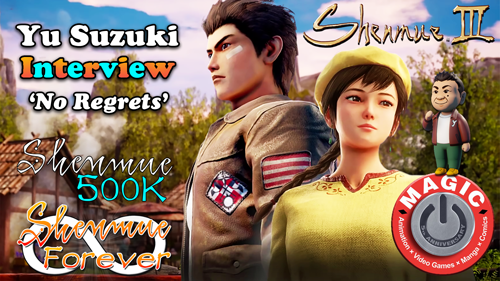 Last summer, Yu Suzuki announced the extension of Shenmue 3’s development amidst a new global publishing deal with Deep Silver, allowing his Ys Net studio to fulfil its greater ambitions for the crowdfunded game. Thirty-five fans from fifteen countries make up this collage, each holding a letter they’ve made to spell out their message. The same spirit of international collaboration that helped revive the Shenmue franchise continues to support those actively working to secure its future with the best possible Shenmue 3. 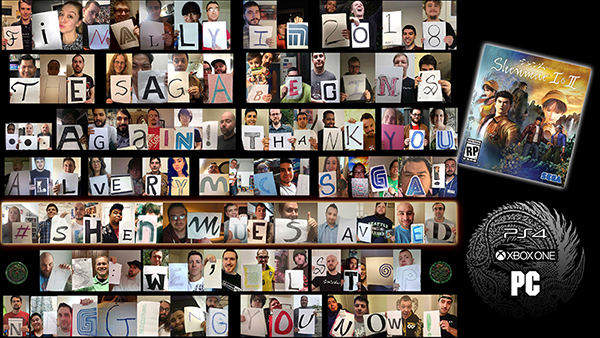 Though spread across the globe, members of the Shenmue 500K community have several times come together in visual form by way of a photo collage, spelling out their sentiments to all involved in securing Shenmue’s future. These collaborations to demonstrate the united will of the fan base have not gone unnoticed by the industry or the press, and now form an important part of the group’s history and identity. English Cast of Shenmue Reunites for Hurricane Relief! Corey “Ryo Hazuki” Marshall is joined by his cast mates from the Shenmue series in unofficially reprising their roles for this plea to gamers, requesting urgent funds for residents in disaster stricken areas of Texas, Florida, and the Caribbean, recently hit by Hurricanes Harvey, Irma, and Maria. In addition to lives tragically lost, the damage caused by this unprecedented series of storms has destroyed homes, livelihoods, and turned day-to-day living upside-down for many in the affected areas, including members of the Shenmue fan community. With your help, survivors can make the best of a terrible situation and restore some normality to their world that was changed beyond recognition overnight. To donate whatever you can spare, please visit OneAmericaAppeal.org, an aid project endorsed by every living former US President, and now the cast of this enduring Dreamcast saga. Our thanks to all of the voiceover artists for giving their time and their talents to this cause in that distinctive Shenmue style. If you enjoyed their reunion then please reward its purpose, and act without hesitation to do the right thing.